Warning: This American style restaurant is absolutely one hundred percent out and out not safe for vegetarians when they visit Paris!! The Beast goes big on meat, very big. If that’s your game, then we reckon you’re in the right place to find the best American Style Restaurant in Paris. But if you’re sweating at the thought of ALL THAT MEAT, then you might want to check out some less meat-intense restaurants when you visit Paris. Don’t miss out on getting a copy of our Paris Night Guide where we share a long list of our favorites in the city! For whom? For adventurous Parisians and home-sick Americans. For all of our Parisian and other international readers out there, this American style restaurant based in Paris will constitute a step into the world of big, meaty America. If you want to see how they do it state-side, then you’re in the right place. For our American readers missing those home comforts, The Beast should have you covered. What’s in it? 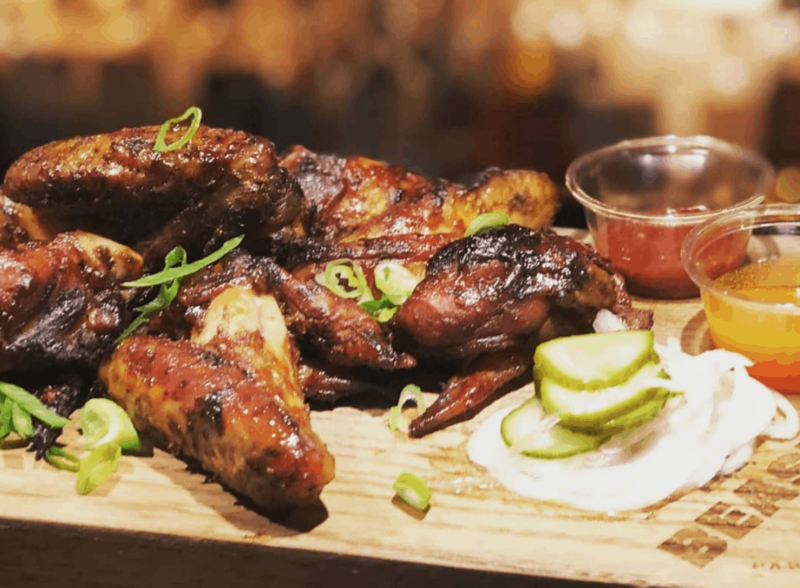 Delicious home smoked BBQ meat, Angus beef ribs, pulled pork, baby pork ribs – everything needed from an American restaurant to feed a cowboy strutting his stuff in Paris! What do we love best? The home-made iced tea / ribs / mashed potatoes and gravy / the interior design with wooden walls / the customized meat knife and the saloon-like toilets! What’s the mood like? It feels like being in big ol’Texas between 2 rodeo sessions, hard to believe that this American restaurant is located just 100 meters away from République square in central Paris.